This is an encouraging autobiography for anyone who has been sexually abused, at any age. It is an adult coming of age story, a coming to understand myself story. Payne tells her story through the voice of Joy. Joy grew up in Australia feeling her parents never wanted her. She shares her stumbling educational experiences, her marriage, her career, losing her husband while still young, going into ministry, being a prison chaplain, and finally coming to grips with it all. It wasn't until later in life that Joy realized she had been abused as a child. She tells of meeting many women who had been abused in some form yet had been afraid to speak out. This book offers good insights into abuse and how to come through the experience. Included in the book are signs of abuse, resources, and suggestions how to work through the healing process. Joy was a minister later in life. American evangelical Christians may have difficulty with the kind of faith Joy expressed. Anglican or Australian Christian spirituality does not conform to what American evangelicals would call saving faith. When Joy was studying in Theological College, a lecturer said that we do not learn from our experiences. “We only learn by reflecting on our experiences.” (146) That's what this book is all about. It is a good example of looking back over life and seeing how God was in it. I recommend the book to readers who like an introspective memoir. You'll learn about the thoughts and feelings of those sexually abused and adults with ADHD. You'll share the insights of Joy as a minister later in life. You'll also have a good example of an interesting memoir, a sort of adult coming of age story. BookVenture Publishing LLC, 200 pages. I received a complimentary digital copy of this book through Authors Large and Small. My comments are an independent and honest review. The thesis of this book, Travis writes, is “...Christian theism, unlike atheism, offers a sufficient explanation of the observable features of the natural world as well as mankind's impressive scientific achievements.” (Loc 54/2845) The foundational rationality of nature and that humans are fit to investigate nature are amazing. There is a Mind behind the universe, making it possible for rational inquiry to exist. Her Maker Thesis suggests certain discoveries of the natural sciences support the inference of a Mind behind the universe, and that this Mind intended man to be successful in studying the natural sciences. She suggests the Mind structured the universe in such a way man could investigate it and become aware of Him. She argues in three areas. First, from modern scientific evidence supporting the philosophical argument for the existence of the Maker. Second, explaining the features of the universe that need to exist to make scientific investigation possible. Third, the philosophical argument that a rational Mind and humans with souls are necessary to the effective practice of the natural sciences. Some of her philosophical arguments were beyond my attention span. Her evidence from science did make sense to me. There was a beginning to the universe. The universe is fine tuned for life. The sophisticated design of DNA. There is an amazing interconnection between mathematics and nature. I really appreciated her explanation of the Higg's field and Higg's boson. It's the best I've seen for the non-scientist. I am glad she chose not to enter into the creation/evolution debate too. The Maker Thesis works either way. In her conclusion, Travis believes the Maker Thesis best explains the scientific evidence and philosophical arguments she has presented. I think she has done a good job of it. Some of the material might be puzzling for non-scientific readers but she provides a list of key points at the end of each chapter. I recommend this book to Christians who are dismayed by the recent claims of atheists that science is disproving the existence of God. Travis shows it is not the case. Granted, there is no hard scientific evidence available to prove that God exists and designed the universe. But Travis's work shows that the Maker Thesis provides a good account of nature and our ability to comprehend and investigate it. She hasn’t fallen out of love with her husband. She just can’t stand his church. Nobody told Katrina being a pastor’s wife would be easy. But she never imagined that the stress she and her husband would face from his new job could so easily destroy their marriage. In spite of her mother’s disapproval, Katrina marries a pastor whose job immediately plucks her away from her music, her symphony, and the city life she loves and plants her in the small town of Orchard Grove, Washington. If she knew going into her new life that she’d be sacrificing her music career for a congregation full of gossips and backbiters and that the pressure of her husband’s new job would turn him into someone she hardly recognizes anymore, she might have reconsidered marrying him in the first place. Unfortunately, it’s too late to do anything about that now. Or is it? Every novel I have read by Terry has been hard hitting fiction. She is not afraid to write about serious issues. She tackles the difficult task of being a pastor's wife here. She holds nothing back. We get a pretty clear picture of what an insecure woman might experience as a newly wed wife in a new town full of, well, not so nice church members. Terry concentrates heavily on the inner turmoil of Katrina. She struggled with leaving behind her participation in a symphony, something that gave her great meaning in life. She struggled with the emotional remnants of her controlling mother. She struggled with feeling like she lived in a fish bowl. “Appearances mean a lot here,” her husband says. (1438/3735) She struggled with wanting to feel loved when her husband was so demanding and busy. Much of the text consists of Katrina's thoughts about all of those struggles. At times I almost felt overwhelmed with lengthy exploration of her turmoil. I was disappointed that Katrina did not rely on her faith more for the strength she needed. I found it hard to embrace the characters of Katrina and her husband. I know being a ministering couple in a small town can be hard, but I would have liked them to be stronger characters, especially at the end. This novel is a portrait of a new pastor's wife written by a seasoned pastor's wife. I do recommend this novel to those who want to understand what couples in ministry really go through in trying to pastor a small church. Perkins noticed one fall season that retailers skipped Thanksgiving and went right to marketing Christmas. He realized that people may not be giving thanks and decided to write poems of thanksgiving. Each poem reflects thanks for something. Some I expected, such as music, friends and heaven. Others were a bit of a surprise, such as GPS, simple farms, and flatware and dishes. The last verse of each poem reflects thanks to God. And You know who will find their share. That fills our souls nearly every day. The poems are straight forward and don't seem to contain deep ideas open to a variety of interpretations. I am not a poet nor a good judge of poetry, thanks to a discouraging high school English teacher. The poems included in this collection are a nice reminder to be thankful and may serve as inspiration for those who would like to create their own poems. You can listen to an interview with Perkins here. Robert Perkins grew up in Kentucky and Ohio. He suffered epileptic seizures until just recently when his neurologist found the right dosages, canceling out the seizures most of the time. He was challenged in 1993 to write a poem for the writing competition at the community college he was attending. He came in third. Since that time he has penned over 4,000 poems. He and his wife live in Springfield, Ohio. Book Venture Publishing LLC, 104 pages. Washington's memoir is a good example of the importance of having a positive attitude. He shares his ups and downs and how he has managed to come to a life of peace. He accepted Jesus as Savior when a child but made bad decisions later in life. He was sexually promiscuous when young and fathered a son out of wedlock. He began drinking alcohol while still a teen and later in life became addicted to drugs. It almost destroyed his family but he ultimately found release from his addiction through the prayers of a small group he was in. My favorite part of the book was actually the chapter by his wife, sharing her thoughts on the turbulent times in their marriage and how God encouraged her. This memoir is written sort of topically rather than chronologically. I noticed some repetition as the same experience was shared in different contexts. Washington does a good job in describing his experiences while addicted to drugs. I really got a sense of the force of the addiction on his life. A later chapter was about his career. I wish he would have explained how he maintained a career while regularly doing drugs. Those topics were in separate chapters and the material did not overlap. Washington's book is a good example of how a person who had been overwhelmed with bad choices can ultimately rise above and have a peaceful life. He was not able to conquer his addiction on his own so it also shows the importance of people willing to help him and pray for him. Michael J. Washington was in the navy for four years and then had a career in the weather industry. He and his wife life in Bowie, Maryland. They have three daughters and three grandchildren. Page Turner Press and Media, 154 pages. With the signature of a judge in Ethiopia, the Gwyns went from parents of two to parents of six. Their lives were changed forever. I really like this very personal and honest account of the adoption and the life after. Natalie had her life well planned out. But God had other plans. She faced the choice of following her own plan or God's. I appreciate the lessons she has learned through the adoption experience. For example, we do not have to be perfect, just willing. Waiting is not passive but active. God will provide when the step of trust is taken. Natalie is honest about the struggles she and her husband faced as they ventured into the unknown. I like how she includes the feelings of the adopted children in her narrative. “Parenting my children is a privilege I have been granted only because of the magnitude of the tragedy they have experienced.” (Loc 1152/2320) Natalie shares the pain the children experienced because of adoption, including the situation from which they came. I highly recommend this book to any couple considering adoption. You'll experience the waiting, the intervention of God in making it happen, the stress and struggles and spiritual warfare, the effects on marriage, friends and extended family. Reading this book will really help you count the cost of adoption. I highly recommend this book to readers in general. This book will help you understand what couples experience when they adopt, especially children from another country. Natalie's writing style is delightful. She has a great way with words. She tells great stories and includes humor too. I highly recommend this book to those who see the mountain of need in the world and wonder what good their teaspoon is in reducing that need (Natalie's analogy). It may seem overwhelming. Natalie's story is a good example of how one teaspoon can change the lives of many. She has included a list of ministries that welcome teaspoons of help. 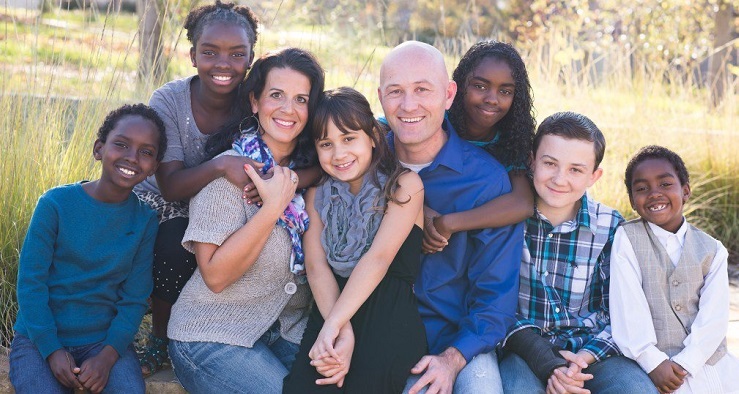 Natalie Gwyn lives in northern California with her high school sweetheart and their six children. She writes for Huffington Post, Today, and Guideposts. 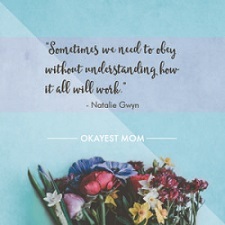 She blogs about family, friendship, fitness, and faith at her website, https://www.nataliegwyn.com/. In this poetry collection, the poems are presented in alphabetical order interspersed with interesting black and white photographs. Most of the poems are of a rhyming nature with a particular beat. They are poems of emotion: joy, love, heartache and more. When you take my hand, there's no place I can't go. Thank you so much for a friendship so true. “In the memory of a smile there's so much to gain. I would have liked a more poetic word than “equivalent.” That word just does not roll off my tongue well. These poems are good examples of expressing emotions through poetry. Budding poets would do well to read this collection for inspiration. You can listen to an interview with Ashby here. Vicky-Lyn Ashby had her first poem publisher at age fifteen. She has published three books of poetry and has had several poems made into songs. PageTurner Press and Media, 124 pages. We get emotionally hurt and are wounded. We have the choice to forgive or not forgive. If we don't forgive, that wound will fester just like a physical one does when left untreated. Unforgiveness has serious consequences. Wilkinson refers to the parable in Matthew 18 to show that unforgiveness is always accompanied by suffering of some kind. (13) God guarantees it. “It is the Father who assigns suffering to accompany unforgiveness in our lives.” (19) It is a form of discipline because God loves us. How have I missed this relationship between suffering and unforgiveness? Granted, as Wilkinson points out, not all suffering is from unforgiveness. But it was certainly worth reading this book to understand the relationship between suffering and unforgiveness and see if it is part of my own life. Just as my unforgiveness would initiate suffering, my forgiveness will end it. It doesn't work to ignore the wound. It must be treated. Wilkinson shares the results of continued unforgiveness and it is not pretty. This little book contains a very important message. Wilkinson takes readers through the progressive stages of unforgiveness, ultimately leading to hatred and vengeance. Thank God He has provided a way to joy, peace, love and freedom. That way is forgiveness. That may not be easy but Wilkinson helps readers go through that process. He clearly identifies the steps to the true forgiveness God requires. He also tells great stories as examples of people being freed, good encouragement. Wilkinson is adamant. Forgiveness will set us free. He feels so strongly about it he guarantees that readers who commit to reading and doing the book will experience the freedom God intended. (xiv) He has tasks for readers to do and questions upon which to reflect. He also provides a website where readers can access additional resources. Bruce Wilkinson is an international ministry leader and New York Times bestselling author of over sixty books. His books have been translated into thirty languages. He has founded a number of ministries, including Walk Thru the Bible Ministries. He has led national reconciliation meetings in Uganda, Namibia, and South Africa. He is currently the chairman of Teach Every Nation and the founder and chairman of The Exponential Group. He and his wife live in South Carolina. They have three children and eleven grandchildren. Mark Strong is the lead pastor of Life Change Church in Portland, Oregon, and the author of several books. I received a complimentary copy of this book through Bring It On Communications. My comments are an independent and honest review. Tozer saw a lack in the pulpits of his day. People were hungry for God Himself and preachers were not helping people in The Pursuit of God. Tozer identifies the paradox, seeking hard after God even after being found by Him. He encourages fervently seeking God. “Complacency is a deadly foe of all spiritual growth.” (225) He reminds us that this is a spiritual pursuit, not an intellectual one. God is ready to manifest Himself to us and we must have an inward habit of beholding His presence. This book is as applicable today as it was when published in 1948. The third book in the collection, God's Pursuit of Man, is the one that impressed me the most. Tozer argues that true spirituality is essentially internal. Most Christians have settled for intellectual and emotional changes rather than a genuine encounter with God. He refers to 1 Thess. 1:5 and says some accept the word only but never experience the power. There is no internal change. He likens it to trimming a hedge but the hedge remains one of thorn bushes. (362) This section of the book helped me a great deal to understand the current state of Christianity in America. People have an intellectual and emotional change but do not experience that radical change becoming new creatures. I highly recommend this collection of Tozer's books. Modern readers might be put off by the KJV language but the truths contained make it worth working through the text. It was enlightening to read these books from a generation ago. Tozer's encouragement to pursue an internal spiritual transformation make today's Christian books look anemic and powerless. Tozer's books clearly point out the “present state of spiritual weakness.” (376) Reading this collection will certainly encourage readers to a more intimate experience with God and a more powerful Christian life and witness. It would be a great book for pastors and church leaders to read too. A. W. Tozer (1897-1963) began his lifelong pursuit of God after hearing a street preacher in Akron, Ohio, at the age of seventeen. The self-taught theologian committed his life to the ministry of God's Word as a pastor, teacher, and writer. He was a pastor in association with the Christian and Missionary Alliance, serving churches in West Virginia, Chicago, and Toronto, Canada.